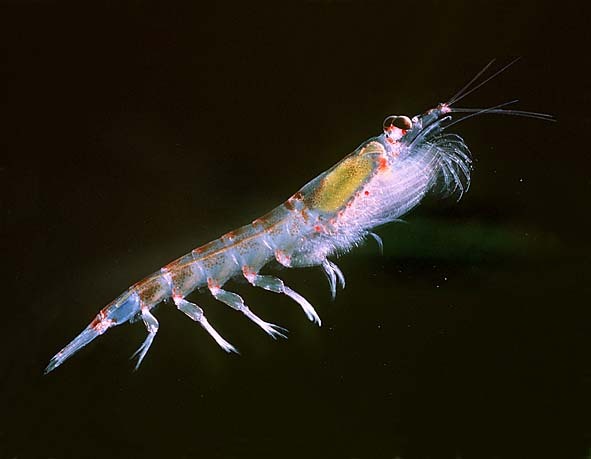 Krill are tiny, unassuming crustaceans that can be found in seas all over the world. They look quite a lot like shrimp, but shrimp are actually in the order decopoda alongside crabs and lobsters, whereas the 90 species of krill have another order all to themselves. Most of them are tiny, like 1 centimetre long tiny, whereas some can reach up to 15 centimetres. They mostly eat plankton which they filter out from the water using feathery legs, and this is part of what makes krill one of the most important creatures in the world. Whoa! Where did THAT come from!? The Goblin Shark... yuck! I mean, why? Why SO ugly? Was it really necessary? Did it really have to? How does it, like, get with the ladies and stuff? Don't they realise how incredibly unattractive they are? Do they care? You know, they probably don't. 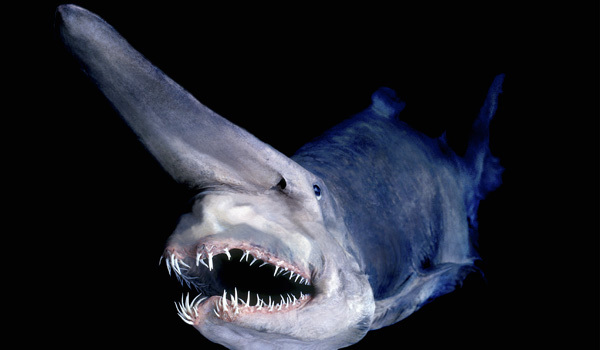 Goblin sharks are found in the lightless deep seas, apparently all over the world, or at least close to the more food rich shores. They get to around 11 feet long and are the only living species in their family, all the others having died out. They look very different from our more typical sharks, and not for the better either! Sticky Feet. I've Got Those Sticky Feet. Walking on walls, clambering up trees, hanging about on the ceiling. All great stuff. Great stuff we can't really do, not easily anyway. Most people who CAN do all that seem to end up fighting crime or something, whereas I would much prefer to just get a bit more living space. In any case, there are a whole host of animals with sticky feet and some can even walk about on glass. Flies can fly AND walk on glass. Greedy. And I don't think they are effective at crime reduction either. No, it's all about themselves, isn't it. Pah! Eating my food. Flying through my air. Walking on my windows. Giving absolutely nothing back. Something has got to be done. You know what? I hereby announce my candidacy... wait. What? The lion's mane jellyfish is a giant among jellyfish. 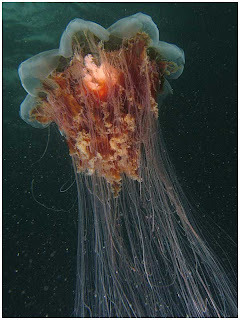 In fact it's the giantest of all jellyfish yet known, even if 'giantest' isn't a word. They are found only in the northern hemisphere. Actually they're found only in the northern half of the northern hemisphere, right up into the freezing waters of the Arctic. They really, really like cold water. 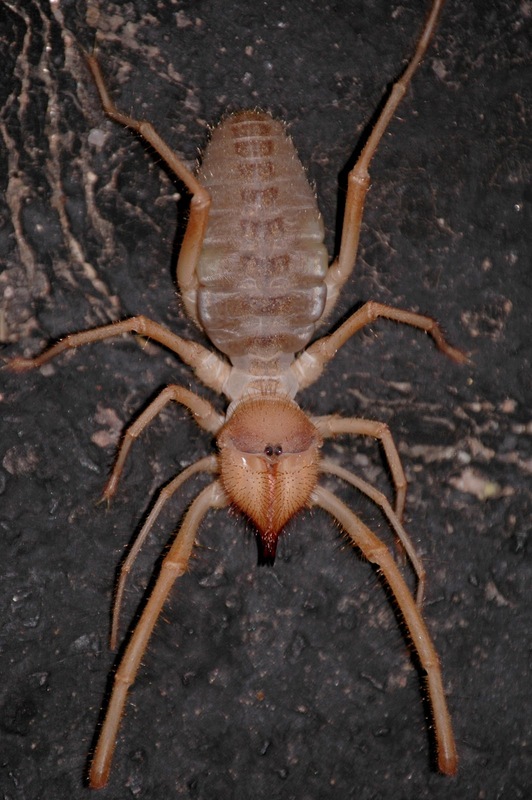 A little while ago we took a look at arthropods that have made their home underwater. I said then that crustaceans are so utterly aquatic, they require all sorts of adaptations to make a living on land. One such crustacean is today's monstrosity, the Coconut Crab. 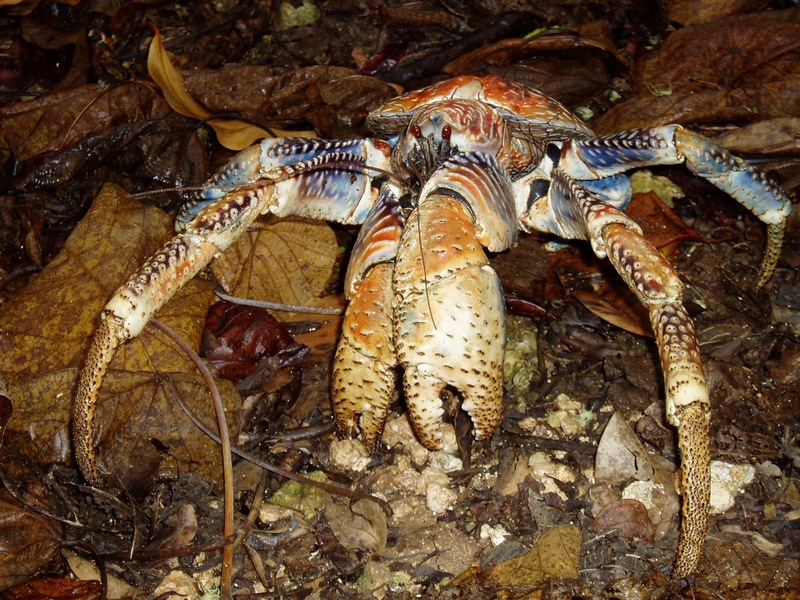 It's also known as the Robber Crab, but I have always known it as the former and I would like to get to know them a bit before I start slinging those kind of accusations around. It's only fair. Also known as the Freshwater Butterflyfish. 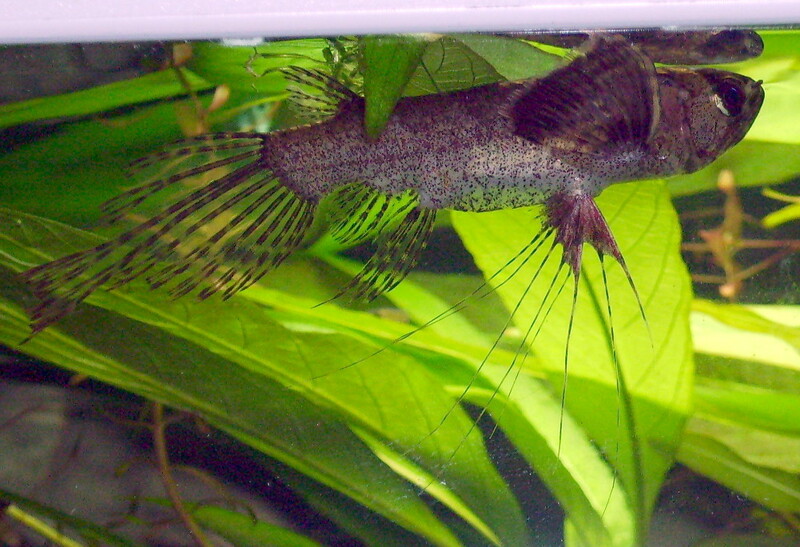 Thus, we are immediately told that they are an African freshwater fish. 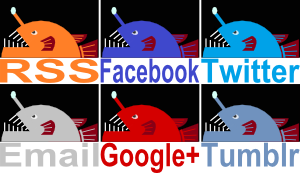 They aren't however, related to marine butterflyfish, those ridiculously colourful tropical inhabitants of coral reefs. No, these butterflyfish have a gothic beauty all of their own. Their dark colours would leave them drab were it not for the flowing veil of most of their fins, and the unique, rather dangerous looking spikiness of the pelvic fins as they splay out in rigid tendrils of morbid pink colour and dark stripes. I can't help but think of some recently used medieval torture device when I see those particular fins. That might just be me, though. 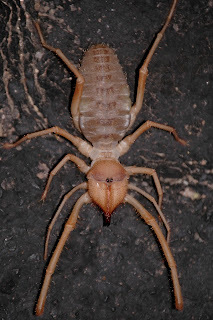 The camel spider is one vicious looking little beast and is relatively unknown compared to other vicious looking little beasts. This has led to all manner of strange, almost super-natural legends growing up around them. While it's fun (or something) to scare yourself rigid with crazy untrue stories, and we're certainly very good at that, I'm going to confine myself to the facts. Sorry! 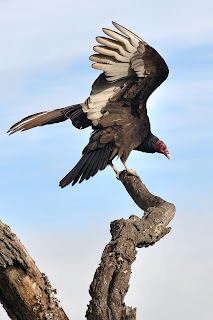 There are two kinds of vulture in the world, those of the Old World and those of the New. They are all scavengers, fulfilling the extremely important role of getting rid of carrion and clearing the place of dangerous putrefying corpses and incumbent disease. Old World and New World vultures aren't actually closely related to each other, similarities between them are purely due to their lifestyle choices.